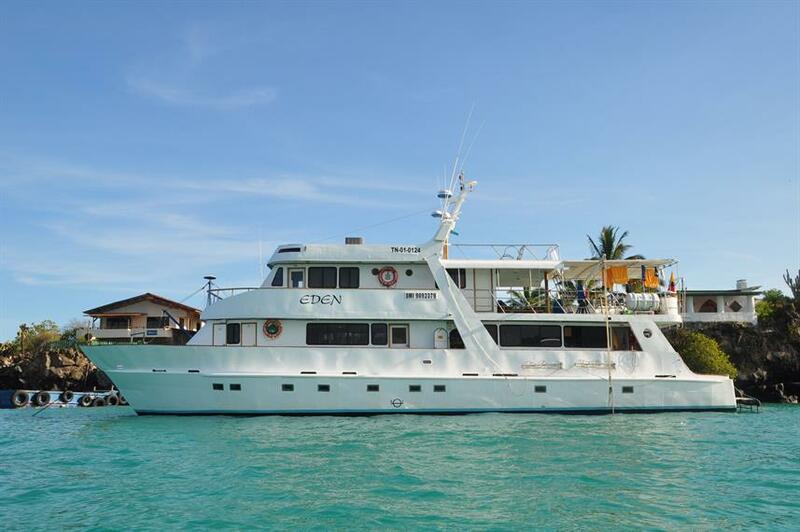 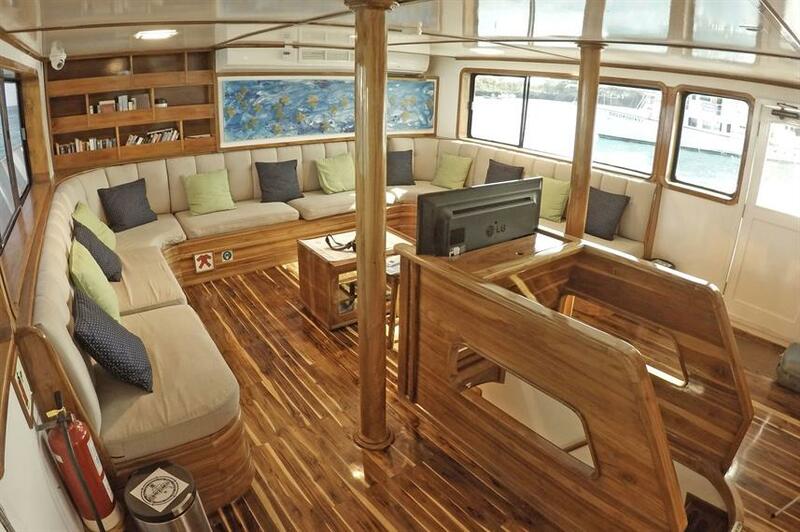 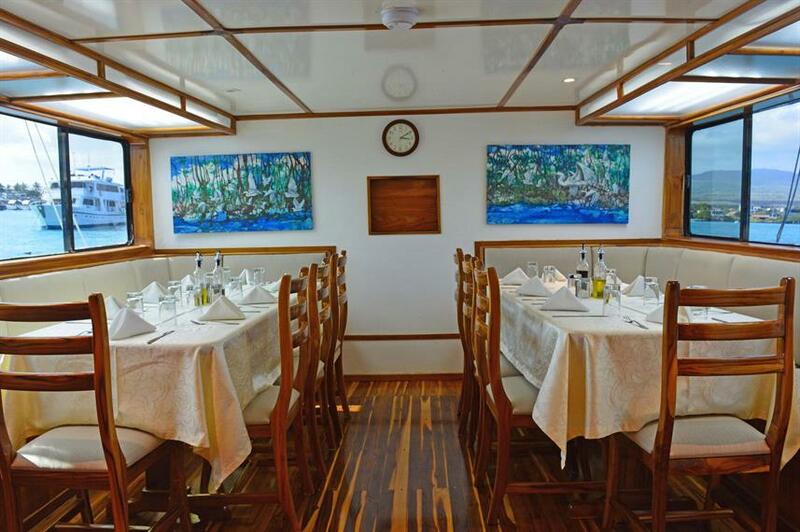 The Eden yacht is a fantastic choice for a small-ship cruise to the Galapagos Islands. 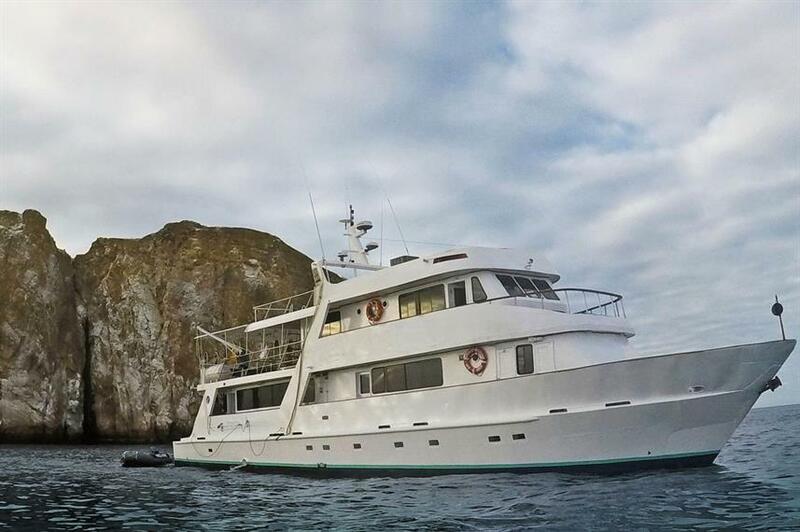 Catering to just 16 passengers, the onboard expert CEO Naturalist Guide and experienced captain and crew are on hand to make this a trip of a lifetime. A choice of eight cabins is available, including 3 upper deck twin share bunks, 1 main deck double and 4 lower deck twin (lower berth) cabins. 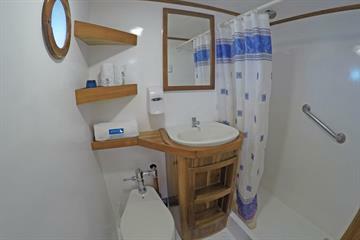 Each cabin features en-suite bathrooms, storage space and plugs for charging devices. 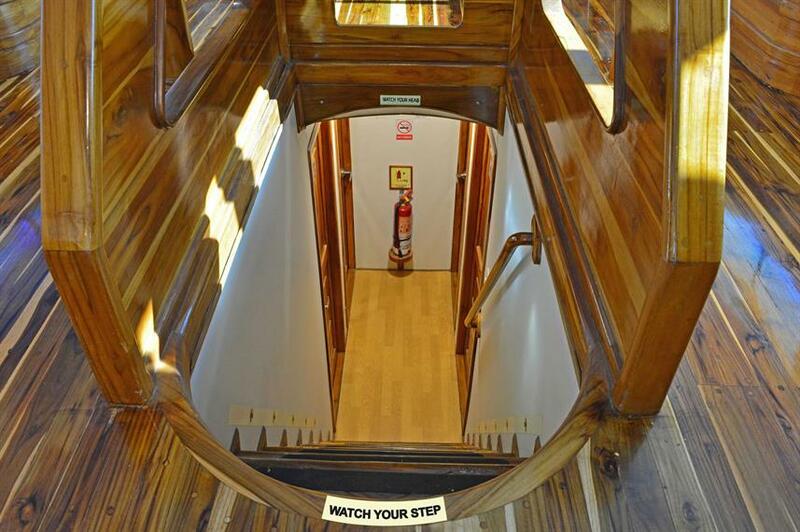 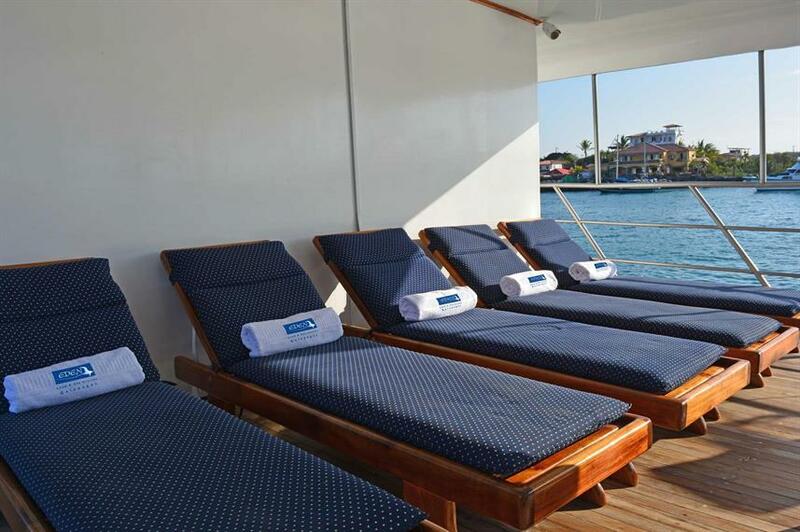 There is ample room for relaxation aboard the Eden cruise ship. 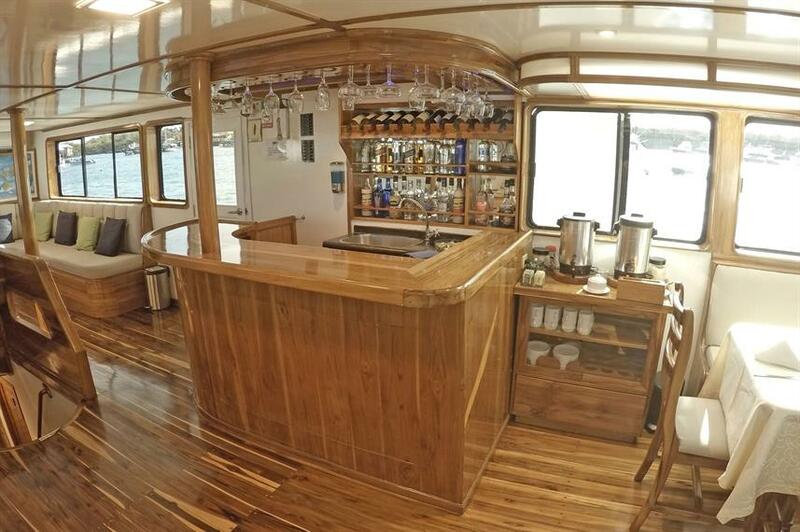 The main deck is home to the bar, lounge and dining area, with a wraparound deck showing off the stunning views. 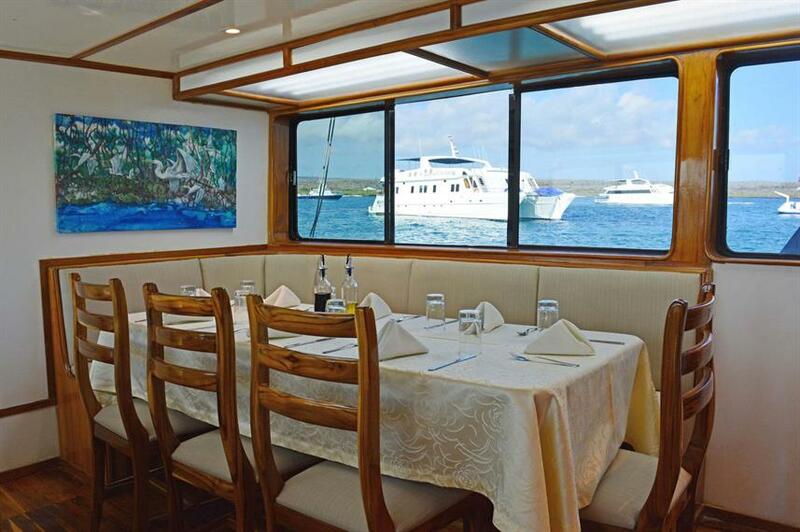 Thie upper deck also has a large outside lounge area, forward sun deck and wraparound balcony, making it the perfect place to unwind after a day of exploring the Galapagos Islands. 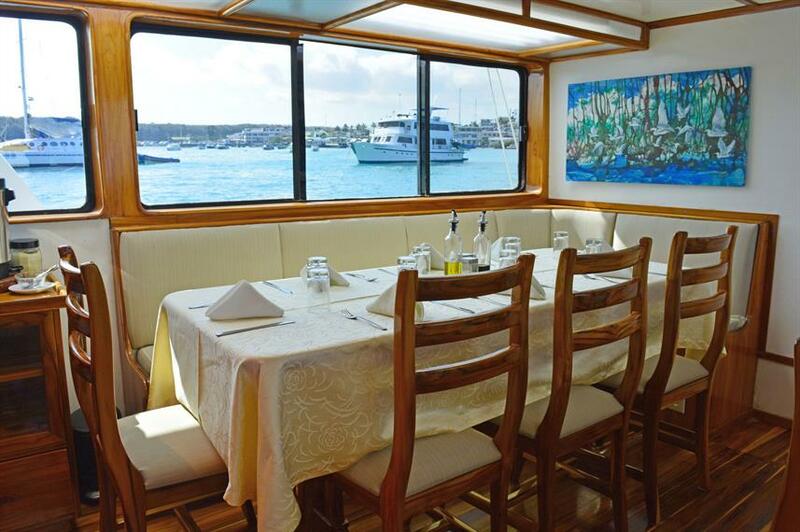 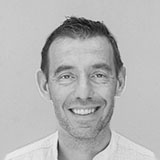 The talented onboard chefs will serve up creative and delicious meals using an array of fresh ingredients. 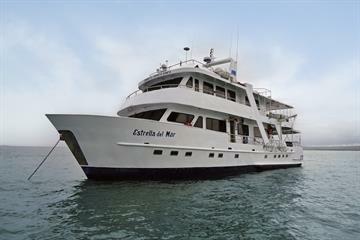 Galapagos cruises aboard the Eden yacht range from 7 - 17 days in length. 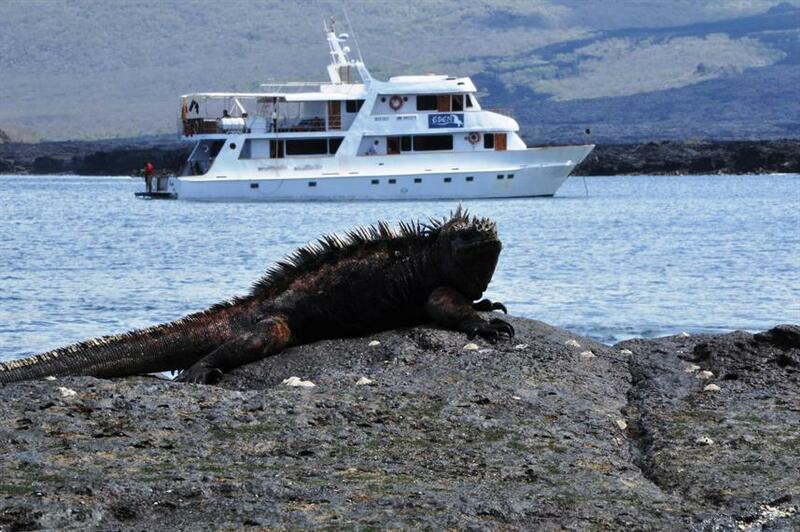 Activities include snorkelling around underwater craters to see incredible underwater life, hiking to stunning viewpoints and visits to the Charles Darwin Research Station to spot giant Galapagos tortoises. 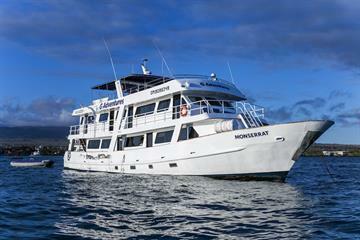 Cruising is generally done overnight to allow more time mingling with the diverse Galapagos Islands life. 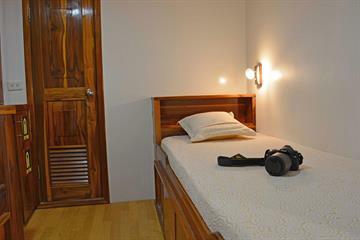 Snorkelling equipment, wetsuits and beach towels are also included in the cost of the trip. 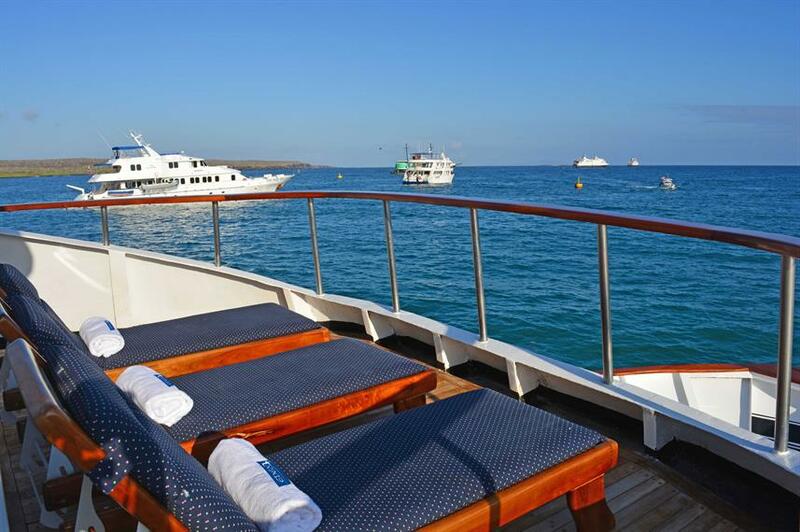 To start your trip of a lifetime aboard the Eden yacht call us or book online today to reserve your space. 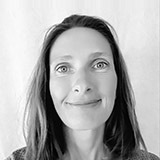 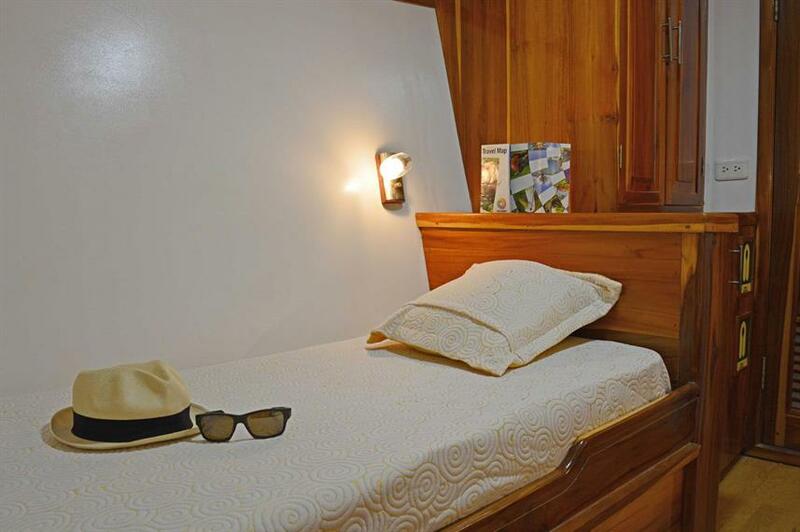 Included: VAT, Airport Transfer, Local Flights, Drinking Water, Tea & Coffee, Full-Board Meal Plan (All meals), Snacks, Land Excursions, Naturalist Guide, Snorkel Gear, Cabin Towels. 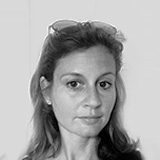 Required Extras: National Park Fees (100 EUR), Visas and Fees (20 EUR). 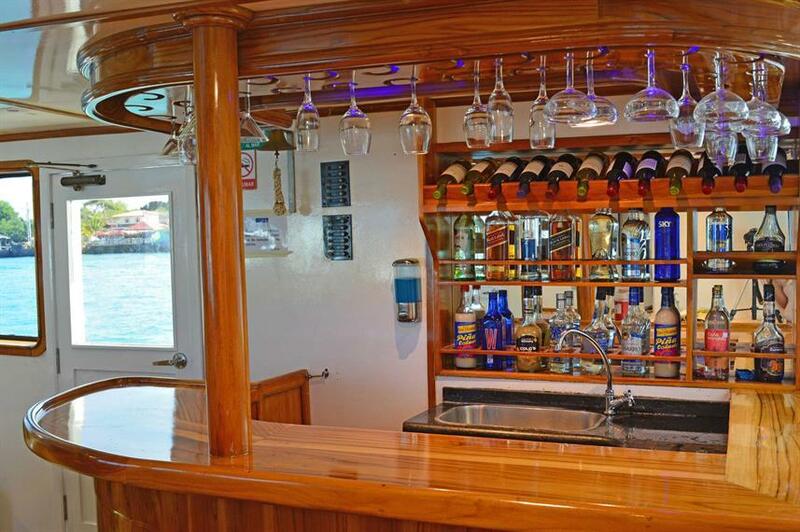 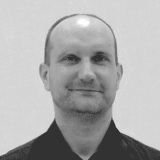 Optional Extras: Gratuities, Alcoholic Beverages, Soft drinks. 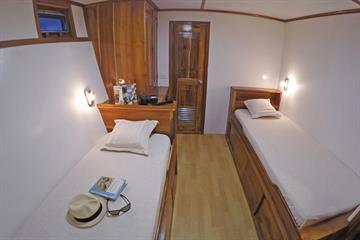 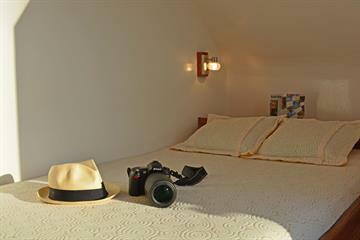 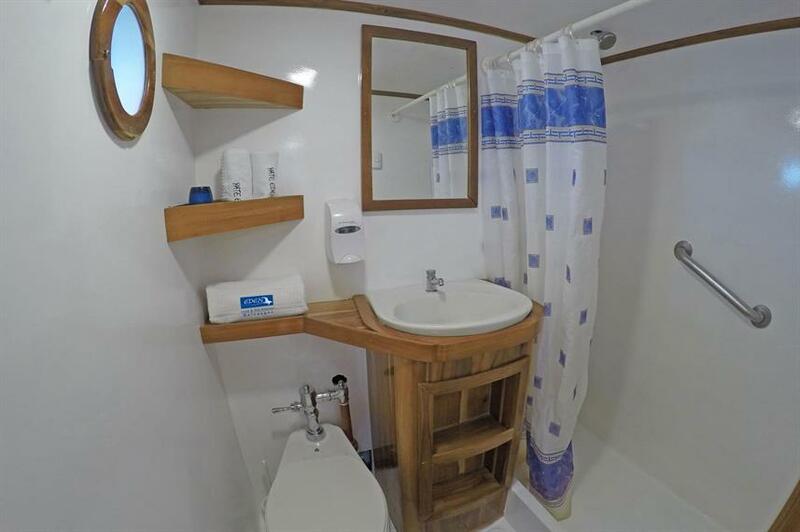 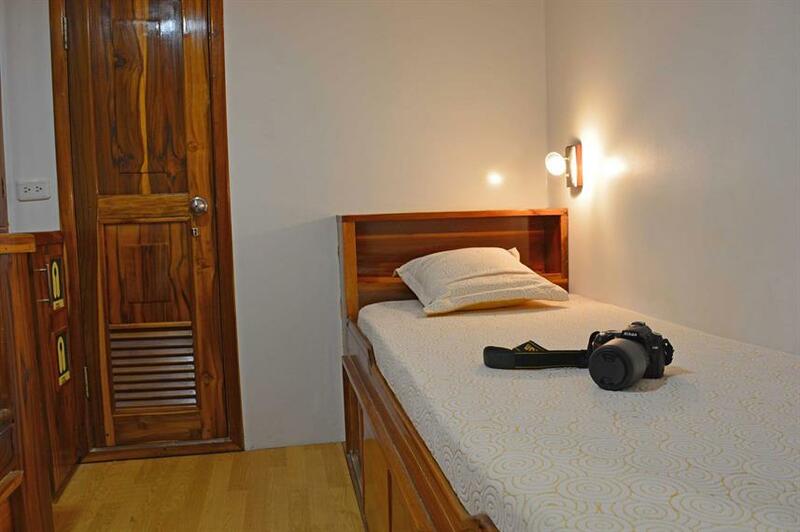 1 cabin with double bed located on the main deck. 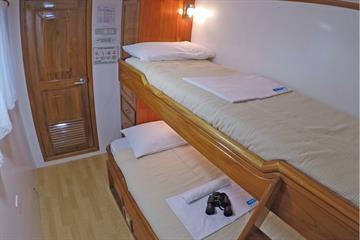 3 cabins with twin-share (bunk) bed located on the upper deck. 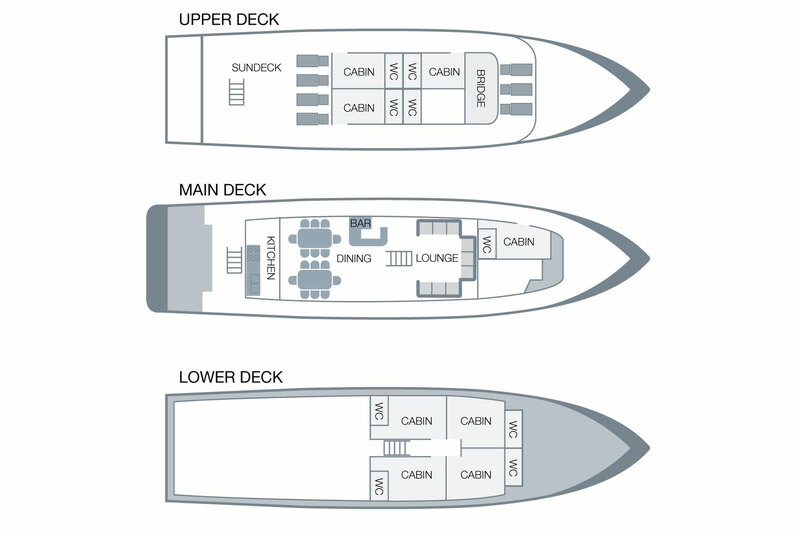 4 lower deck twin-share (lower berths) cabins.